April is the time when anglers everywhere get fired up. Some guys are into spring steelhead, others spend their time targeting perch, still others like to hunt down crappie and don’t forget those who prefer to hit the big pond in search of browns and coho salmon. When I think of spring, it’s April in the “D” and I don’t mean baseball that gets me pumped up. The Detroit River and early season walleye are what gets my blood flowing. This week, I was blessed with the honor of sharing a boat with long time friend and fellow Off Shore Tackle pro staffer Rob Jones. In my young years of fishing I have always went with the motto “if you want to be the best, you have to fish with the best”. 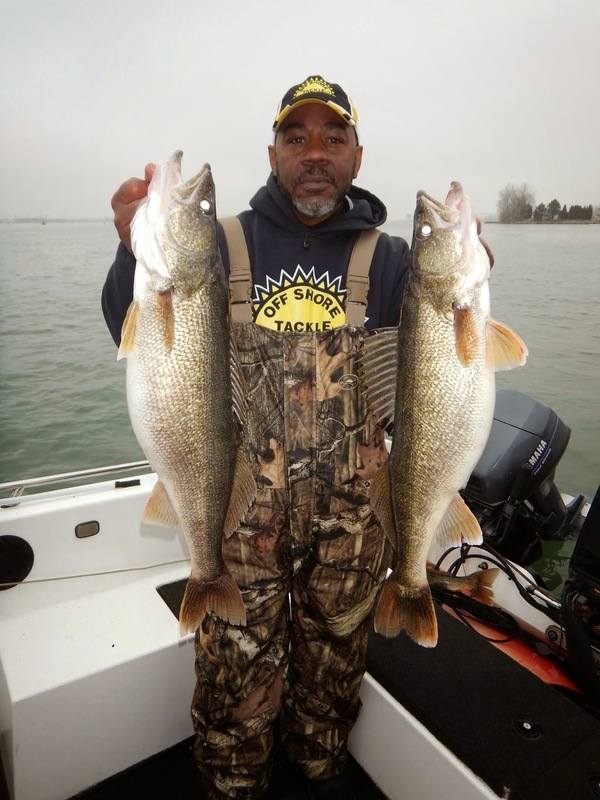 Rob is a skilled anger who can catch walleyes anywhere they are found, but the Detroit River is Rob’s wheelhouse. Recently Rob took me under his wing and showed me some of his favorite haunts on the Detroit River. All of the spots Rob showed me on the Detroit River held fish. However, the most important fishing tip I picked up didn’t involve location, rod type or even bait. Rob showed me that to be successful at jig fishing in the Detroit River requires a mastery of boat control. need to look no further than the Detroit River. Rob Jones positions his boat so the boat, the water flowing downstream and the jig are all moving at the same speed. When this delicate balance is achieved, the jig can be fished directly under the boat and maintaining contact with the bottom is easily achieved. This process is sometimes call “chasing the line” and to be effective an angler has to perform this function again and again and again as the boat drifts downstream. Staying vertical is a chore, but the rewards are without question worth the investment. 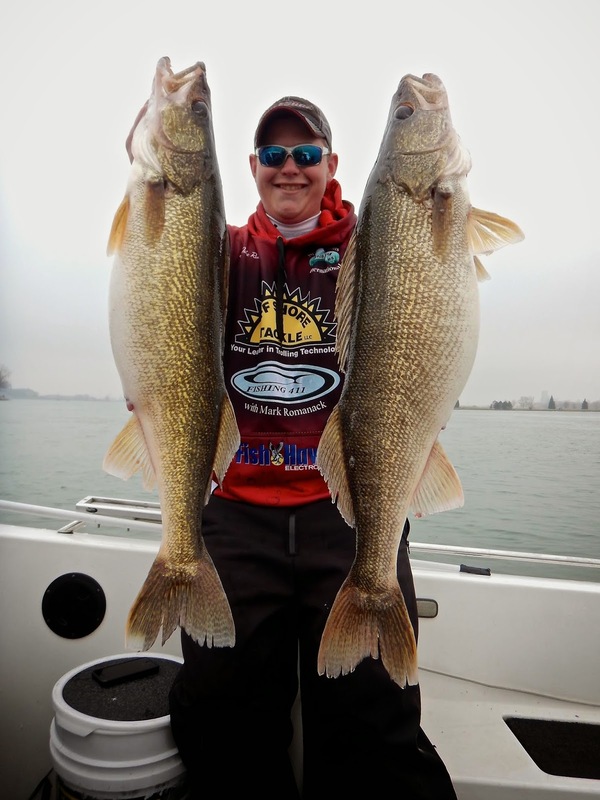 The Detroit River is an amazing fishery, but getting the most from jig fishing requires an intimate understanding of boat control. For me April in the “D” isn’t just about baseball. April simply isn’t April without a few days on the Detroit River.